So this post is a tad late on the Kylie Jenner lip hype. However these lipsticks aren't I have had 2 for well over a year now and the third was a (there's nothing else I want and 1 have a back 2 mac burning a hole in my pocket). 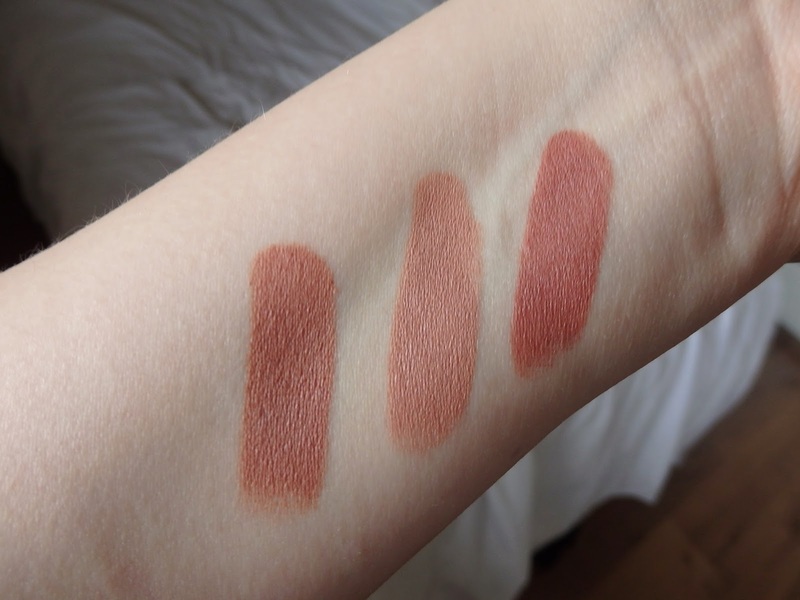 The three lipsticks that have probably been driving MAC staff crazy over the past few months, along with a few lip liners that all of a sudden everyone NEEDS. Yes she has had fillers, no you're not going to look like K.J, and no you don't need all three - but I am excessive. First up is Yash - A deep neutral. Next is Honeylove - A light beige toned with rose. And Velvet Teddy - A deep toned beige. As a product these lipsticks are perfection, they are pigmented, matte yet never drying unlike their matte sister Ruby Woo for which I need to apply a whole tube of chapstick for it to look remotely acceptable. As you can see they are pretty much identical! I'd say at a push my favourite is Yash as I think it suits my skin tone the best. 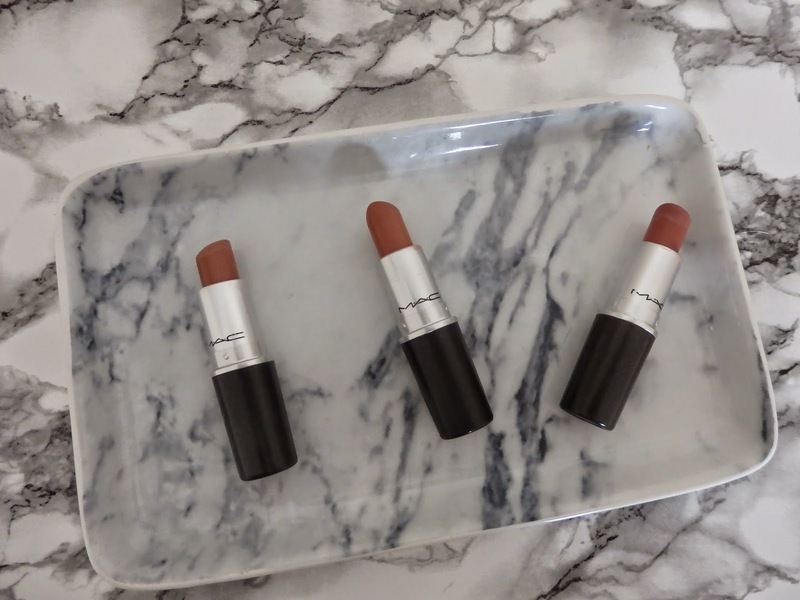 Hopefully this has cured your urge to own three basically the same lipsticks and if not - I get it; we have the same beauty sickness. I Also have Mac Velvet Teddy and i love it !